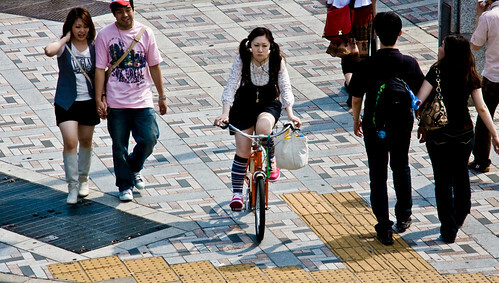 Cycle Chic®: I Love Yu, Harajuku. This girls OWNS her personal style utterly and completely. Respect. Stylish knickerbockers on the move. My favourite moment. The launch. 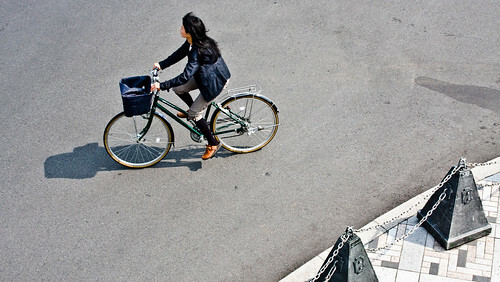 The bicycle set into motion. This time, Tokyo style. Heading off into traffic. 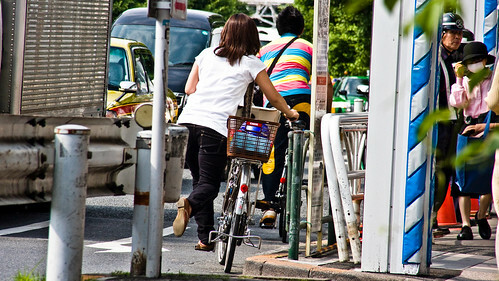 All shots from Harajuku, Tokyo. Tiny little Japanese chick rocking a cowboy mount for the kawai!!! 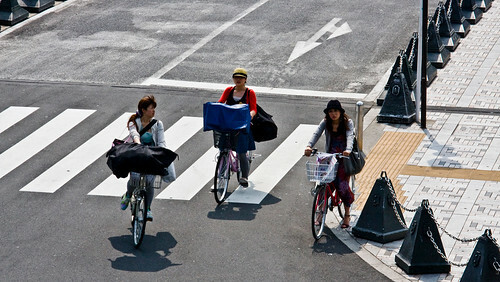 It features a bunch of Swiss cyclists in various Swiss cities.